We often think of our current world as being a bombardment of the visual. There is a constant flow of images in front of us, never seeming to slow down. But let’s not forget that the symbols of the past are not so different from our “logos” of today. In honor of St. Patrick’s day, if you’re like us, you may be pondering the imagery and possibly even the meaning of the Shamrock. The above image is the result of some of the pondering happening here. The Shamrock has become the “logo” for all things Irish. Our friend St. Patrick was, of course, an Irishman. There is a great story about the shamrock. Although we can’t claim 100% accuracy, on St. Patrick’s Day it seems its message is often found hanging in the shadows while corned beef, cabbage and soda bread take center stage. 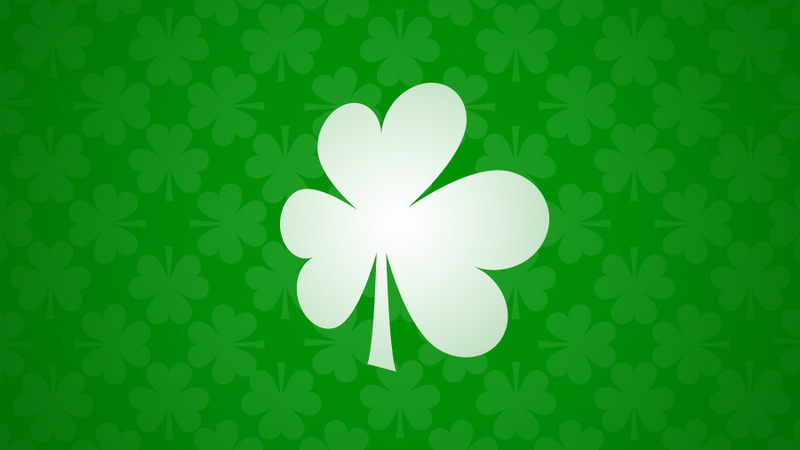 St. Patrick himself used the Shamrock, a 3-leafed clover, to illustrate the concept of the Holy Trinity. This idea shows that God is one being, in three unique persons. The three leaves represent Jesus, The Holy Spirit, and God The Father. Three beings, separate, but united as one. A helpful illustration for the 5th century Irish layperson, the Shamrock in modern day has taken on may new meanings. It’s a celebration for the Irish, a dish of savory Corned Beef, a pint of Guinness and all things green. As you spend this St. Patty’s Day enjoying the festivities, take a minute to remember just how how rich in depth and how far back in time visual symbolism of history may go.